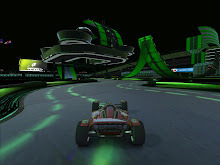 Last December I told you about how Thundr figured out the way to get our Team FNG logo to appear on the poles and spawn points of ShootMania Storm (including Team Modes). Only the players that manually went through this process could enjoy it. The Emblem not only showed in our own Team FNG servers, but in every server we played in. We wanted a way for everyone that joins our servers to see our Emblem, and only when on our servers. I'm happy to report that with the help of a few friends (MrBob and community members on the ManiaPlanet forums) I was able to successfully make it so our server would show it for everyone when they play on our servers. DISCLAIMER: To be perfectly clear, I only know that this works for non-team based script modes. I will have to experiment on some team mode scripts and see if it's possible there, but I wouldn't recommend it; because Nadeo is working on a cooler way to have team modes show clan specific logos when competitions between clans happen on those servers. Steeffeen explains "Club Links" (which have to do with my disclaimer above), "NeutralEmblemUrl" and emblem requirements in response to my question on the ManiaPlanet Forums. Our server uses a customized version of the Royal.Script.txt that was used in Storm before the Royal mode was moved to its own Title pack in prep for free-to-play availability at launch. The NeutralEmblemUrl must point to a valid URL that will serve your Emblem image. Upload your Emblem to a valid URL you can point the game mode script to. 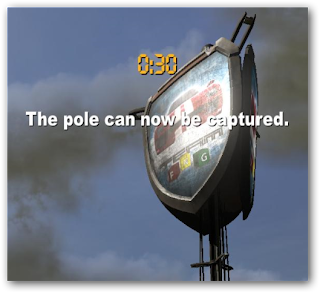 I imagine that this will work in the Team Modes too while poles aren't captured. Once a pole is captured it will reflect the proper Blue or Red team logos since the pole is no longer "neutral." I hope this helps others who wish to customize their server a little more.